For a few weeks now I have had an idea that I was desperate to try out. 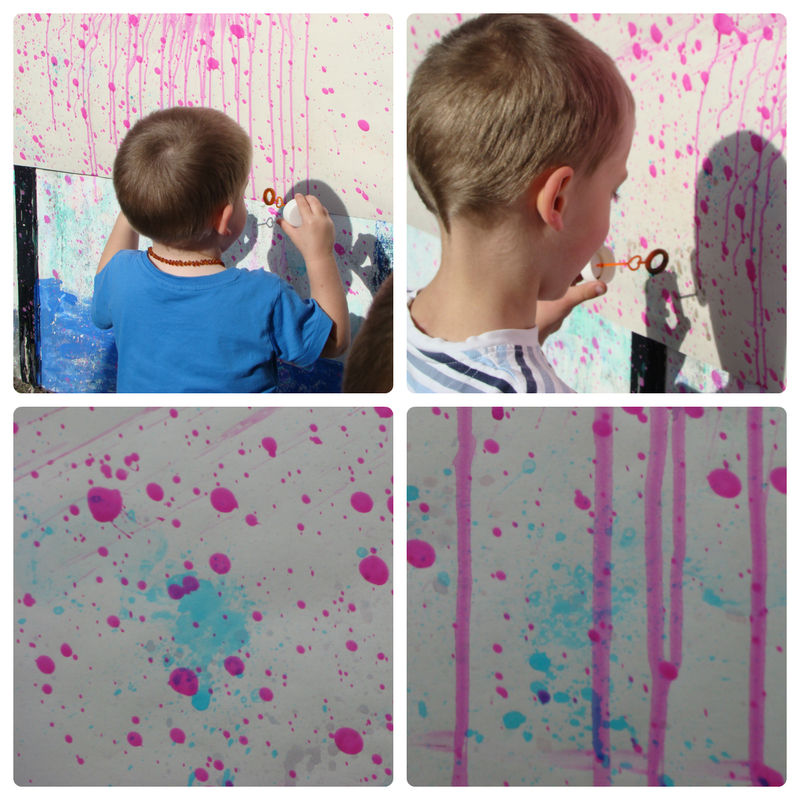 It started after we did paintballing with the play balls and water beads, when the kids were bouncing the water beads around the Tuff Spot in the paint. 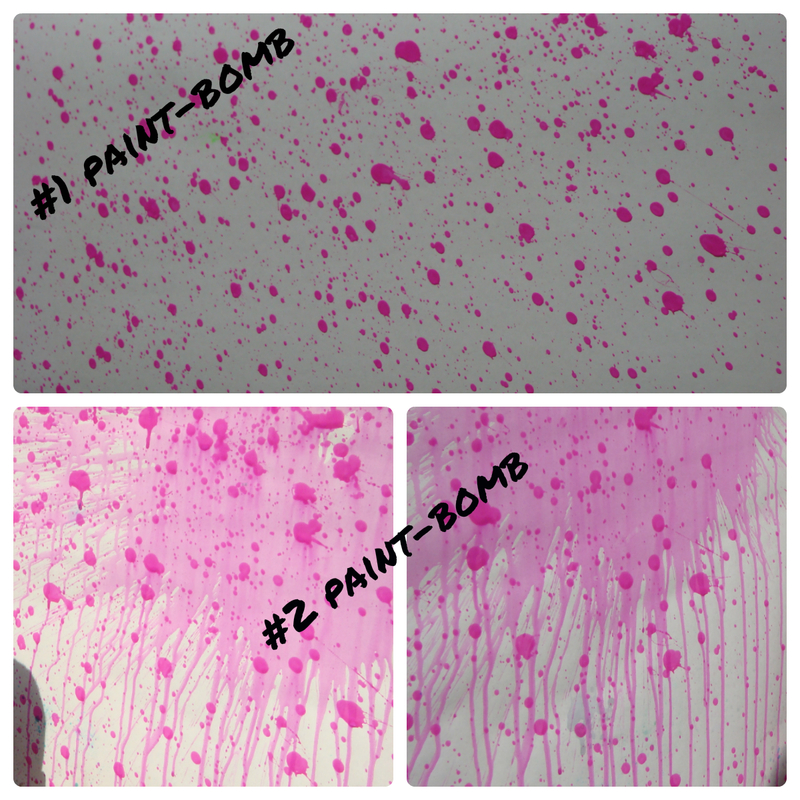 I wanted to try paint-bombing, using water bombs filled with paint! Trying to find water bombs proved tricky though. I was sure they’d have some in the local shop or in a pound shop but was totally unsuccessful in finding any. Maybe its the wrong season? Well, I finally found some a couple of days ago in our local shop (knew they’d have them eventually!) on the pocket money plastic toy display; £1.49 for 300 water bombs with a filling nozzle. Perfect! Today was the day we tried paint-bombing. Unfortunately it wasn’t entirely successful! First we had the problem of filling the balloons. I had assumed I could just squeeze the paint in to the balloon using the filler nozzle. This was mistake #1. The paint was too thick and wouldn’t run down the nozzle into the balloon. I tried everything I could think of to get it in but nothing worked. and they just bounced off the wall! They had another go. Another bounce off the wall but this time they burst when they hit the ground, splatting pink paint all over the grass! Not quite what I had imagined, but the kids were amused! Gordon had a go with the one remaining balloon. On the first throw, like the kids, it simply bounced off the wall. The balloon was slightly damaged though so we thought it might burst on the second throw. It did, but not quite as we were expecting. It seemed to burst mid-air, just before hitting the wall and it burst in style! It covered everything; wall, flowers, Thomas’ bike. Still, the result on the paper was really good! A little later we had one more go and this time we filled the balloons fuller to see if this made a difference. It didn’t and the kids balloons burst on the ground again (our garden really is a lovely shade of pink tonight!) and I couldn’t get mine to burst at all. Gordon took over again and after several throws the final balloon burst on the wall in spectacular style! 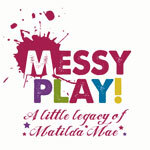 So, paint-bombing needs a rethink. I have thought about trying to just drop them onto the Tuff Spot maybe and seeing if this works. What do you think? Does anyone have an idea I can try? I have about 280 water bombs left to use! 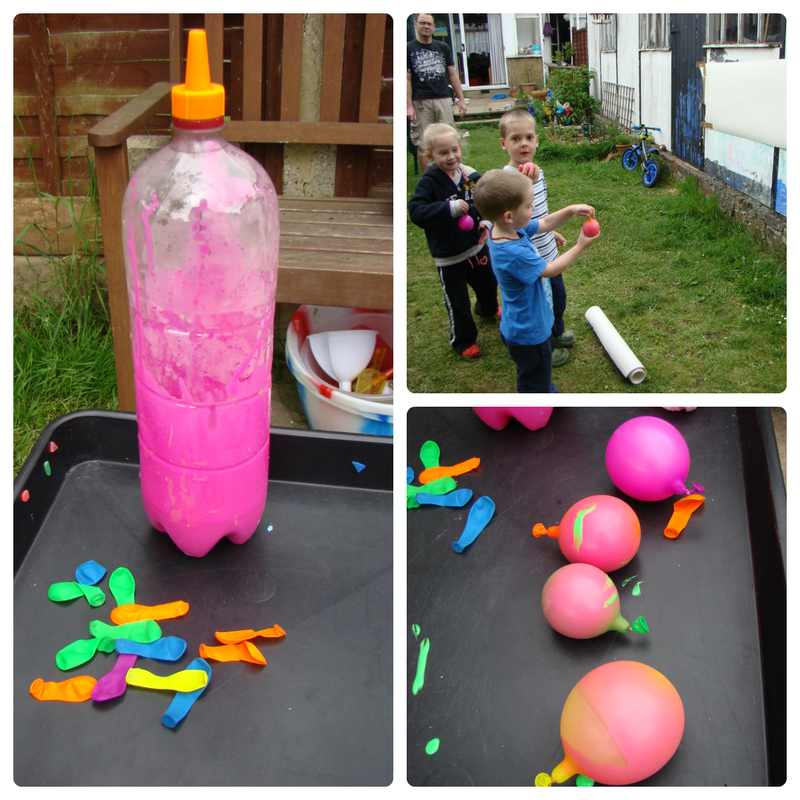 After our, not quite as expected, paint-bombing I thought I’d try something that I have seen works and we did bubble painting. This is simply adding food colouring to bubble mixture and blowing bubbles so they pop on paper. The kids had a few attempts each and I can confirm it does work. Really though, the kids just wanted to blow bubbles. 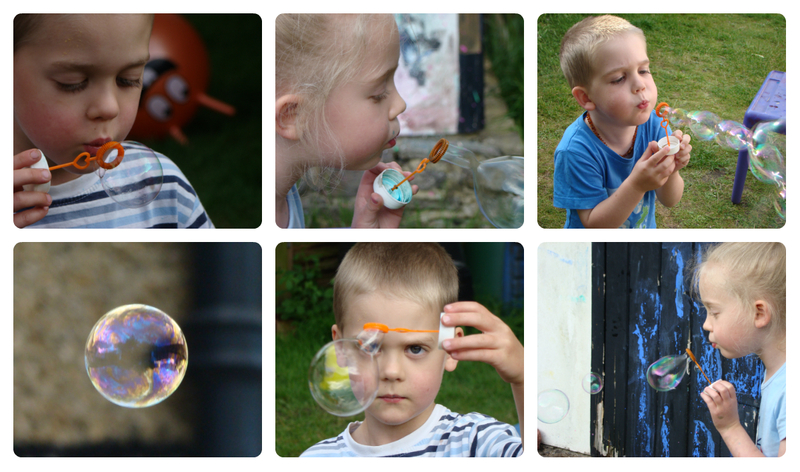 My kids do love bubbles!